The RCN’s peer support service guidance is aimed at healthcare professionals with medium to long-term health conditions or chronic impairments, as well as line managers. Anyone who has a disability is protected by law and their employer has certain duties to fulfil, including making reasonable adjustments to their place of work and duties. Most workplaces can be adapted at little expense to allow staff members to continue to use their existing skills. The rights of people with health conditions in England, Wales and Scotland are protected by the Equality Act 2010. There are two separate acts in Northern Ireland: the Disability Discrimination Act and the Special Education Needs and Disability Order. The legislation means it is illegal to treat someone differently because of a disability, either directly or indirectly. Discussing disability is complicated by the fact that many of the terms used mean different things to different people, and can be emotive or even offensive, depending on different individuals’ perspectives and experiences. The updated guidance uses the terms ‘impairments’ and ‘health conditions’, and uses ‘disability’ when discussing those conditions or impairments that meet the legal definition of a disability. The term ‘disabled’ is used to describe someone with inequality of opportunity caused by particular barriers. Staff with a disability are encouraged to refer to their health issues in their own way. 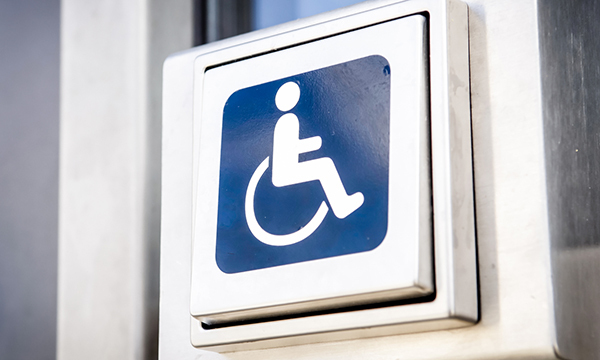 Reasonable adjustments can mean physical changes to a workplace, such as introducing ramps, accessible toilets and altered seating. It can also mean providing disability awareness training for a whole team, altering shift patterns or renegotiating duties. Staff are advised to ensure their manager is committed to helping them make adjustments at work, ideally by agreeing to them in writing. In most cases, the length of time such adjustments are in place will be open ended, meaning they can be relied on for as long as they are needed. Adjustments should be reviewed regularly, especially if staff members think of new ways of working that could be more beneficial to them. Sometimes an impairment or deterioration in health means a member of staff cannot carry on working, even when adjustments have been made. Staff are advised to contact the RCN if such situations arise, or if they feel they are being unfairly treated. ‘Reasonable adjustments are a legal right but, more than that, they make good business sense. However, healthcare professionals with health or disability issues often encounter attitudinal barriers when they require changes to the work environment. ‘This guidance focuses on equipping individuals to be able to have proactive, helpful discussions about disability issues. It should be used alongside employer policy and provisions like occupational health assessments.